Though I’ve lived in Jerusalem almost 17 years, sometimes I still find the place bewildering. People who don’t live here probably think primarily of the Old City and its stone walls. The walls are not ancient by Jerusalem standards, slightly less than 500 years old. 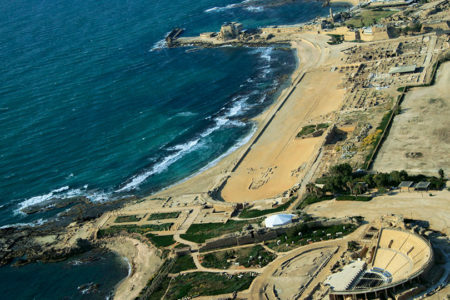 Most of the ancient walls from biblical times are long gone. Conquerors came and went. The walls were destroyed, rebuilt, and extended through the ages. 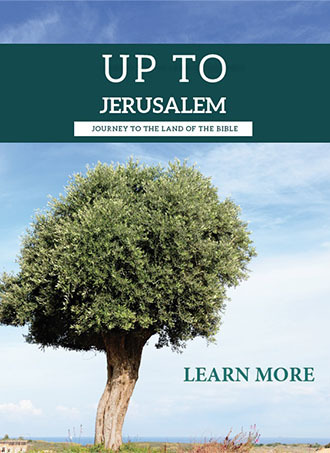 Jerusalem today is much more than the Old City—though without the walled Old City at its epicenter, there is no Jerusalem. The Jewish sages spoke of Yerushalayim shel malah, or the spiritual, heavenly Jerusalem, and Yerushalayim shel mata, the earthly, gritty, day-to-day Jerusalem. My Jerusalem is a little bit of both. Embedded into the mountain ridges of Judea and Samaria (the West Bank), Jerusalem was a divided city between 1949 and 1967. Jordan held the West Bank, the Old City and its holy places, and large swaths of North, East, and South Jerusalem. During the 1967 Six-Day War, Israel captured and reunited Jerusalem, regaining access to the walled Old City. Of the 830,000 Jerusalemites, roughly 35,000 reside in the Old City, an area comprising slightly more than 200 acres. The Old City’s population does not reflect the city’s overall demographic profile. Most Old City residents are Muslim Arabs and Christian Arabs, with some Armenians and others. 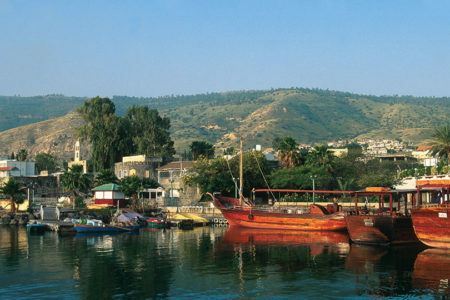 An estimated 6,000 Jewish people also live there. During the Jordanian occupation, no Jews could approach, let alone live, in the Old City—although they had lived there for centuries. Most Christians who live permanently in the Holy Land are Arabs. About 10 percent of Israel’s 161,000 Christians live in Jerusalem. Of these, 38 percent call the Old City home. 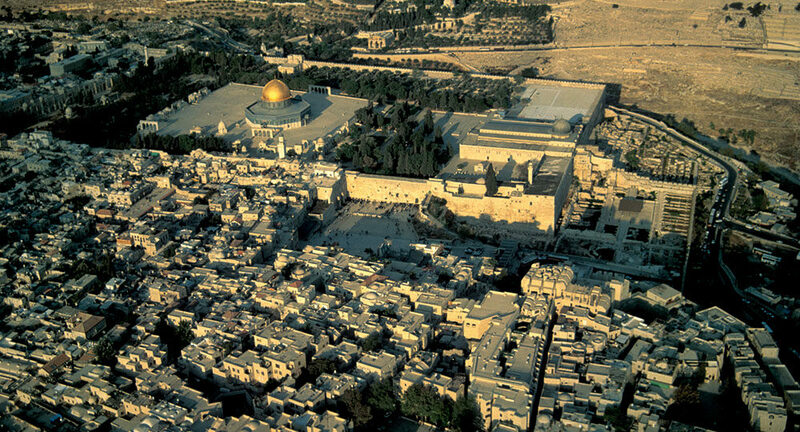 Overall, Jerusalem is Israel’s largest and most crowded city, spread out over 31,000 acres. 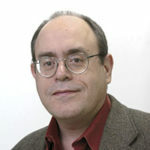 Its demographic makeup is about 62 percent Jewish, 35 percent Muslim, and 2 percent Christian. The Jewish population is heterogeneous. Roughly 32 percent is insular and fervently Orthodox (haredi), 21 percent is modern Orthodox (“national religious”), and 28 percent is traditionally observant. The rest describe themselves as not religious. The city’s Muslim population is almost entirely Sunni and traditional. Almost every Muslim fasts during the month of Ramadan. The norm nowadays—we’ve witnessed this change over the past decade—is for women to cover their hair. At night, with its floodlit walls, the Old City conjures up thoughts of a fairy-tale kingdom, a Middle Eastern Disneyland. A more prosaic way to think of it is as a borough enveloped by metropolitan Jerusalem. Despite all the trendy restaurants, five-star hotels, promenades, art galleries, houses of worship, and mosaics of people in modern Jerusalem, it’s this Old City—laden with political, religious, and historical significance—that visitors want to see most. 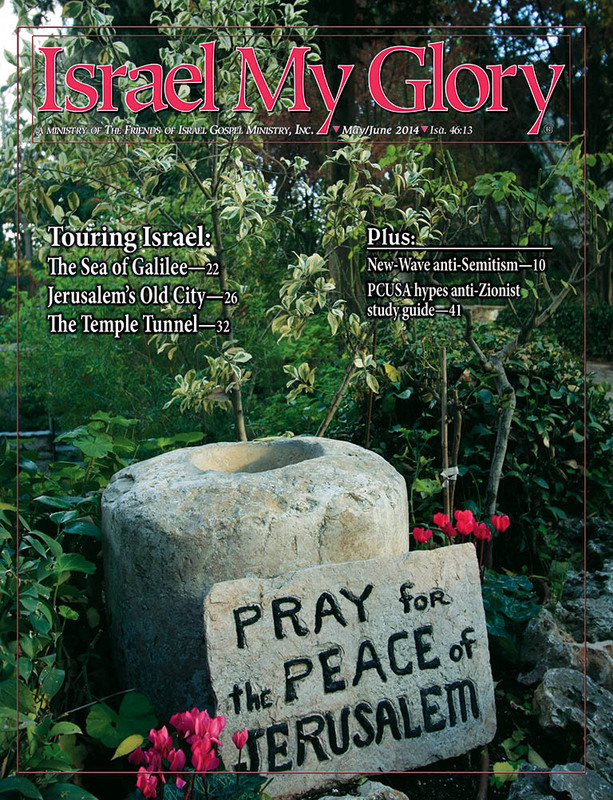 The modern metropolis where we live—where the Knesset meets; where Yad Vashem memorializes the six million Jewish victims of the Holocaust; where the Israel Museum shows off our artistic, archaeological, and cultural treasures; and where most tourists stay—is a comparatively recent outgrowth of the walled Old City. With my wife, Lisa, I am fond of getting lost in the Old City during Christmas week when the place is packed with pilgrims, tourists, and travelers from all over the world. Lisa and I head for the Jaffa Gate (built by Ottoman Sultan Suleiman in 1538). There are 11 gates, but only seven are open. Besides the Jaffa Gate, the active gates are Zion, Dung, Lions’, Herod’s, Damascus, and the New Gate. We reach the Jaffa Gate by strolling through the open-air, upscale Mamilla Mall promenade that begins on King David Street diagonally across from the brand new Waldorf Astoria Hotel and is sandwiched between the luxurious Mamilla and David Citadel Hotels. Neither the hotels nor promenade existed until well after Israel recaptured the city in 1967. Pre-1967, the area was “no-man’s land,” where Jordanian snipers would pick off passersby. If you follow our path through the Mamilla Mall promenade, you might feel yourself travelling through time—passing from 21st-century, cosmopolitan Jerusalem, with its trendy designer shops and cafés, through the arches of Jaffa Gate into the walled city and age-old Jerusalem. 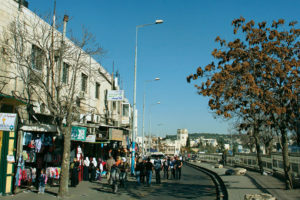 The Old City is divided into Muslim, Christian, Armenian, and Jewish quarters. Only after 1967 could the Jews return and rebuild their homes. We bear left from Jaffa Gate, walking through the Arab shuk (open market), strolling along the Via Dolorosa, where we can begin to inhale the intoxicating aroma of freshly roasted coffee beans sold at a nearby Arab stall. Soon we ascend a staircase we discovered a few years back that takes us to one of the roofs of the Church of the Holy Sepulchre. The church was built in the fourth century, originally on a hill outside the city walls. Many believe Jesus’ crucifixion and resurrection took place here. 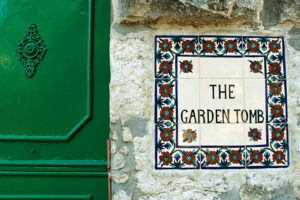 Many Protestants, however, think the actual site is the Garden Tomb, which lies outside the Old City but within walking distance. Last year Lisa and I visited the church on December 26. We were struck by the large number of Muslims visiting from Indonesia. Although the overwhelmingly Muslim nation, the fifth most populated country in the world, has no formal diplomatic relations with Israel, Jakarta and Jerusalem discreetly cooperate to enable tourism and pilgrimage. In Islam, Jesus is considered a Muslim prophet. Of course, the Indonesians especially want to visit Muslim holy sites. We wander around the Christian and Arab quarters, getting lost as usual. For me it’s the most exciting way to make discoveries. This time my poor sense of direction pays off. We stumble upon Bab al-Hadid, one of the seven or so entrances that Muslims can use to access the Temple Mount and their holy shrines. We gamely make our way toward the archway, only to be firmly halted by Israeli police. As non-Muslims, we are not allowed to use this doorway due to Muslim sensibilities. Non-Muslims must enter the plateau via one specific entrance—a wooden walkway connecting the Western Wall plaza with the Mughrabi Gate above. Then we notice a directional sign a few feet from the forbidden Bab al-Hadid archway pointing to what is called Ha-Kotel Ha-Katan, or “Little Western Wall.” Like the grander version, this wall is part of the outer retaining wall that surrounded the second Temple complex. Ha-Kotel Ha-Katan is part of an alcove and is thought to be awesomely close to where the Holy of Holies was situated. 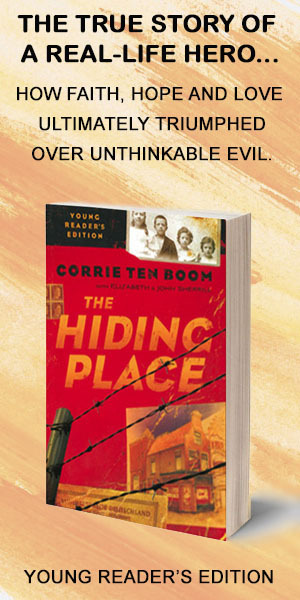 We know where the Holy of Holies was located. According to Jewish sacred history, the outcrop of bedrock at the heart of the Dome of the Rock is the “place of the sacrifice,” where Abraham prepared to sacrifice his son Isaac on Mount Moriah (Gen. 22:2) and where Jacob dreamed of angels ascending a ladder (28:12). Jewish scholars also believe it was where God revealed Himself to Moses in the burning bush (Ex. 3:1–4). The Holy of Holies is where the Ark of the Covenant, which housed the Ten Commandments, resided in the first Temple and where Yom Kippur (Day of Atonement) sacrifices continued to be offered during second Temple times. Many fervently Orthodox Jews believe it is forbidden to go up to the Temple Mount for fear of treading on this holiest of ground. National religious rabbis tend to say that since we know the Holy of Holies stood smack on the bedrock of the Dome of the Rock, as long as visitors avoid that location and immerse themselves in a ritual bath beforehand, it is permissible, indeed praiseworthy, to ascend the Mount. 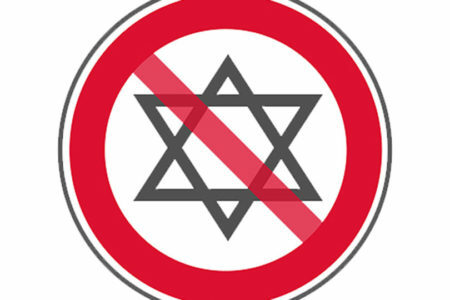 All observant Jews agree it is religiously forbidden to enter the Dome of the Rock itself. 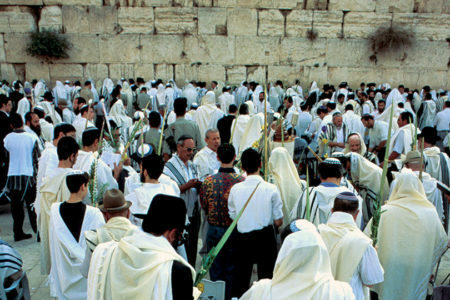 Christian pilgrims who are prepared to stand in a long security line leading to the Mughrabi Gate can readily visit the Temple Mount, except during Muslim prayer times, on the Muslim holy day of Friday, during Ramadan, or when there is too much political tension with its attendant menace of Arab rioting. As we stood at the Little Western Wall, I was flooded with thoughts of history. Israel’s first capital, under King David, was Hebron in Judea. Even earlier, during the time of the Judges, Israel’s de facto capital was Shiloh in Samaria, where the Ark of the Covenant first rested. Around 970 BC David left Hebron and made Jerusalem his capital. David and his son Solomon turned Jerusalem into a bustling city. Solomon built the first Temple, which was destroyed by the Babylonians in 586 BC. The second Temple, without the Ark of the Covenant to grace the Holy of Holies, is the one that stood at the time of Jesus. It was destroyed by the Romans in AD 70. Chronologically, Jerusalem first became holy to the Jews under David; then approximately 1,000 years later, to Christians because of Jesus; and finally, in AD 638, to the Muslims. Given the security lines, we skip going up to the Temple Mount, which the Muslims call Haram al-Sharif. 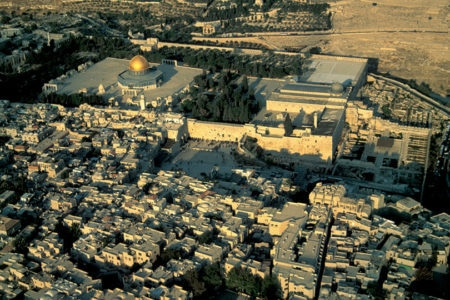 There we would have seen the shining golden Dome of the Rock (built around AD 691); the tarnished, silver-domed al-Aqsa Mosque (built around AD 705); and several other buildings of importance to Muslim civilization. These were built by Arab caliphs who trace their lineage to the Muslim prophet Muhammad at the end of the seventh century, when Muslims from Arabia captured the city from Christian Crusaders. Getting lost and encountering so much history makes me hungry. So we pop into one of the many hole-in-the-wall Arab eateries in the Old City for a plate of steaming hummus topped with a raw onion and straight-from-the-oven pita bread. Then we stroll away from the Western Wall through the Jewish Quarter and into the Armenian Quarter, stopping in at our favorite Armenian crafts shop to pick up ceramic gifts for friends. We meander past David’s Tower, which houses a museum and archaeological remains dating to Israel’s ancient monarchies, and toward Jaffa Gate. The Ottoman and British were the last foreign empires to leave their mark on Jerusalem. The Ottomans were Muslim Turks, not Arabs, who ruled the Middle East from 1299 to 1917. Under Ottoman rule, Jewish people had become a majority of the city’s population by 1864. As the Old City became congested, they began to establish neighborhoods outside its walls, as did the Muslim and Christian Arabs. On the eve of World War I, the Jews were still a majority. All the while, a new city beyond the Old City walls was blossoming. Jaffa Street became a thoroughfare that led from the Jaffa Gate to the road that descended from Jerusalem down toward the coast, heading to the port city of Jaffa some 40 miles away. During World War I, the British captured Jerusalem from the Turks. On December 11, 1917, British General Edmund Allenby entered the Old City on foot through Jaffa Gate. Only a month earlier, Britain’s Balfour Declaration had promised that Palestine would be reconstituted as the homeland of the Jewish people. It would take 31 years to get the British to leave. And even after Israel gained its independence in 1948, it would take until 1967 for Jerusalem to be reunited at last, and under Israel’s control.